Mathematisches Forschungsinstitut Oberwolfach (MFO), Germany. This is a mini-workshop organized by Didier Henrion, Igor Mezic and Mihai Putinar. It focuses on the interplay of ergodic theory, operator theory, geometric dynamical systems and convex optimization methods in pure and applied contexts. 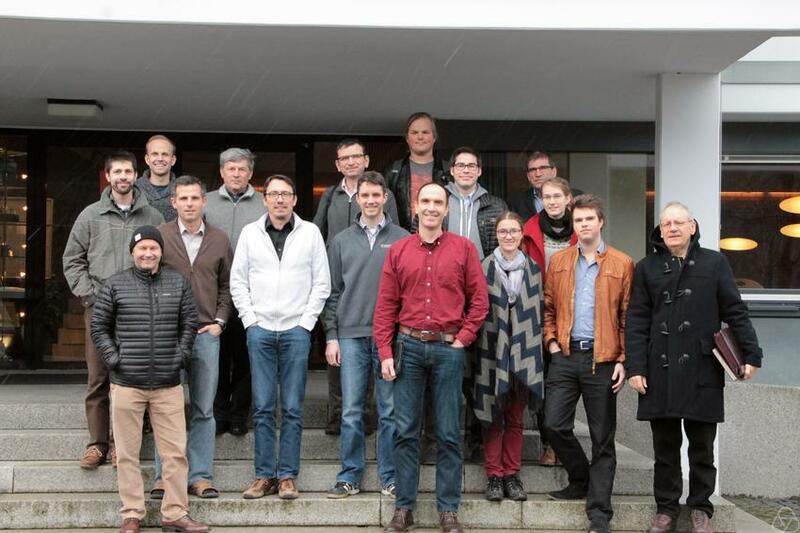 The workshop takes place from Monday 8 to Friday 12 February 2016 at MFO, Oberwolfach, Germany. The worskhop focus and goal and a list of participants can be found in this document. R3: the small seminar room in the library building opposite to the large lecture room. Photograph by Tatjana Ruf, copyright MFO 2016.